We are spoilt for choice when it comes to buying products. The list below is what I do when I am on holiday. The great news is that for very little money and hassle you can have the results you want without the extra heavy cosmetics bag or large bill for travel sized products. How do I avoid beach hair? Tangle Teezer, £9.99 at Boots does the job I need. It un-snarls both wet and dry hair without breaking it and works on all types of hair including extensions. It works best if you brush firmly from the roots and pull down. How do I get natural looking highlights? When you are over there buy a couple of lemons and everyday after you have conditioned your hair cut a lemon in half and gently squeeze the juice onto your hair and et voila! your hair will be naturally highlighted when you are in the sun. How do I keep my hair well moisturised on holiday? Get the most ripe banana you can find and mash it up with a fork. Make sure you puree it as the first time I did this I skipped this part and I had clumps of banana in my hair. 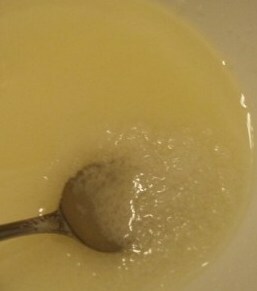 Then add mayo and oil and blend until smooth and creamy. Apply to you hair down to the roots. Don't forget your scalp needs moisturising too. Let sit for 15-30 minutes. Rinse with warm water and shampoo as usual. This banana hair mask will make your hair so moist and smooth you’ll think you suddenly have a completely new head of hair. How do I have great skin on holiday? I use this recipe wherever I am. It's also a great moisturiser. In a mug pour add in 4 table spoons of normal table salt. Then pour in olive oil (not virgin) and stir. You want to make sure the oil and salt have bonded so keep adding olive oil until there is no more white salt and you can pick the mixture up without it running through your fingers. When in the shower make sure your skin is damp and rub the mixture in circular motions on your skin. It's great for the elbows and knees but also fine enough for your face. The shower will help open your pores. Once rubbed in wash the mixture off which will dissolve in the shower and your skin will feel silky smooth. The olive oil and salt mixture may sound rather odd but it is something I either take with me or make wherever I am. If you're taking it with you use a decent plastic container within a sealed sandwich bag. Also don't forget to drink enough water. In general you need 2 litres of water on a normal day. If you are somewhere warm and/or doing more activity than normal make sure you drink more than 2 litres. Water is the magic ingredient which feeds your skin. How do I keep my toes and feet in tip top condition on holiday? 1. Soak feet for 10 mins in warm slightly soapy water. Gently work a soft bristle brush around your nails to both clean them and to loosen dead skin and cuticles. I find a spare toothbrush does the trick. 2. Blot dry with a towel then rub in my olive oil and salt exfoliator gently but firmly. Pay particular attention to the tough skin on your heels and soles. Rinse well with warm water. 3. Towel dry your feet, gently does it around your toes. Massage well with Compeed overnight cracked heel cream or a thick vitamin E cream. Pop on the cotton socks to help the cream penetrate for even softer feet. How do I reduce my puffy eyes and dark circles? Now you are going to think I am mad but if you are renting a villa this one is super easy! Cold teaspoons applied on the skin under the eyes work wonders for tired eyes. Put two clean teaspoons in the fridge and when they are cold lay on your back and put the spoons on the dark circles. They will refresh both the area and the eyes. Cool empty teabags on the skin under the eyes are also a very efficient remedy they calm the skin and prevent it from swelling. I would recommend in treating dark circles with teabags containing chamomile. Chamomile tea is a natural anti-inflammatory that will leave your face brighter and less swollen.